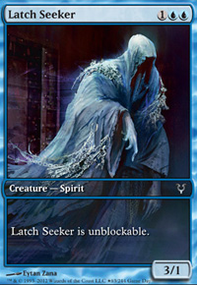 If I have a Phantasmal Image that is a copy of a selfless spirit and it get's targeted by a fatal push, can I sacrifice it in response to the phantasmal image static ability (to sacrifice it)? Second - KRAV, THE UNREDEEMED IS SO GOOD. 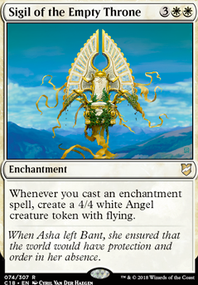 One mana is nigh irrelevant and the payoff compared to the multiple Blood Bairn effects you have is very large. 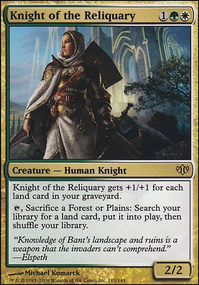 Tithe Taker and Baird, Steward of Argive are very good cards, but I'm more or less planning on getting attacked, so I don't think I'm going to put them in. 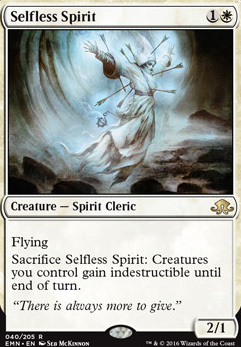 Selfless Spirit , Conqueror's Pledge , Pennon Blade and Stoneforge Masterwork are very good tips for which I am very grateful to you, I will definitely think about them I just have to think about which I throw out for them. Maybe you have some suitable suggestions. 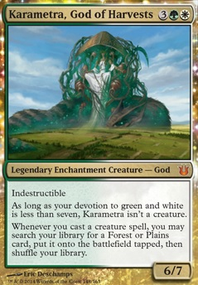 Westvale Abbey Flip and everything that goes with it, I would immediately include it in the deck, but I believe that Ormendahl, Profane Prince is considered a black creature, so I can't include it in a white commander deck. 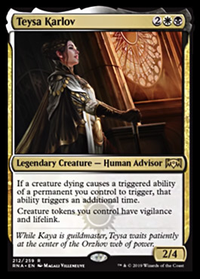 For the same reason, I also decided against Archangel Avacyn Flip. Hi! I like the deck and Soldier tribe is among my favorites. Just some ideas. Lands: Eiganjo Castle for more protection, Westvale Abbey Flip as an alternative wincon. 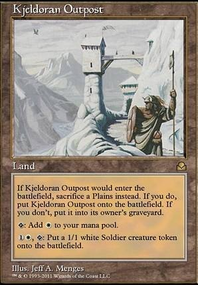 Creatures: Kytheon, Hero of Akros Flip (turns into a Planeswalker easily), Hanweir Militia Captain Flip (more tokens to transform Westvale Abbey Flip), Selfless Spirit to protect your army, Tithe Taker ( Grand Abolisher looks much better but Tithe Taker is a Soldier), Baird, Steward of Argive (an element of pillowfort strategy), Selfless Squire - to protect yourself. Sorceries: Conqueror's Pledge for more tokens. Artifacts: Pennon Blade and Stoneforge Masterwork . Good luck!